Mosaic is a great place for newcomers with young children to make friends and learn about their new home in Manitoba. Powered by Google. Translation Disclaimer. 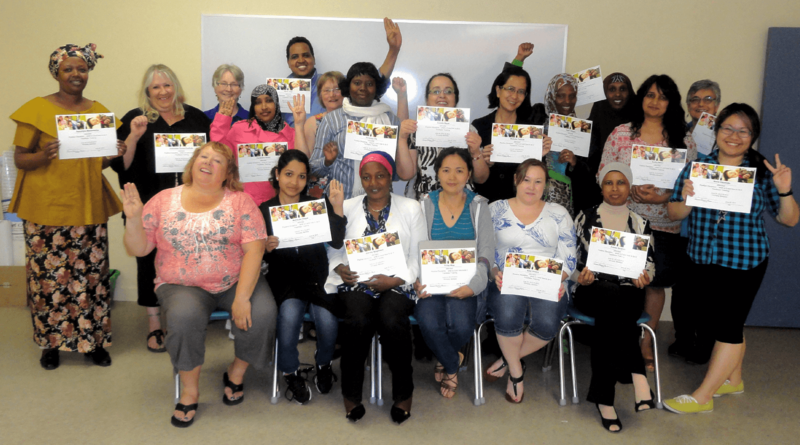 Mosaic provides English classes with quality child care, settlement and parenting support for newcomer parents. Mosaic programs help participants develop English language skills and community connections while their children socialize in a safe and educational environment. Classes at Mosaic help parents and their children adjust to life in Canada. Students learn English to do everyday tasks like talking to teachers, buying groceries, and asking for help. Classes are for newcomer parents and primary caregivers. Participants get connected to services, meet neighbours, make friends and form a social network. 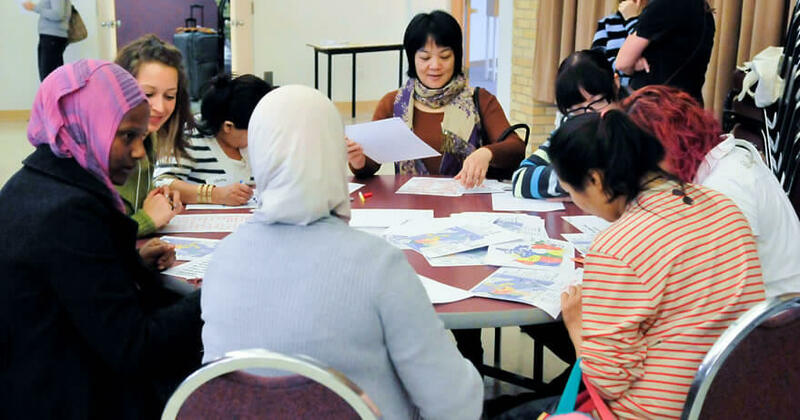 All Mosaic family programs are designed to meet the needs of newcomer families. We offer language and cultural supports and quality childcare. All of our programs are Free. Mosaic also hosts various family and community programs in partnership with other organizations in the city. For more info on what programs are available in your area or for partnerships with Mosaic, send us an email or call the office. Families with young children are welcome in our English classes and Family Programs and childcare is provided. Mosaic programmes focus on child and parent attachment. We emphasize parents as the child’s first teacher, and we encourage newcomer parents to share the wealth of parenting information that they bring from their culture. Do you have language skills to share, a love of children, or passion for community? Help us help newcomers by sharing your time or resources.